How to Become a Forensic Scientist in Alabama? How much does a Forensic Scientist make in Alabama? There were 165,505 crimes reported in Alabama in 2016, a 2% increase from 2015. The crime rate in the state was also quite high at 3,403.1 per 100,000 inhabitants. With such figures, the job of the law enforcement agencies becomes more important than ever. And aiding the process of law enforcement in Alabama are forensic scientists. These professionals have now become crucial to solving many of these crimes. They work on the field as well as in the labs – collecting evidence and then analyzing it to determine how the series of events unfolded in a particular crime. If all of the above sounds like the kind of work you would be interested in, then the following information would be of great use to you. 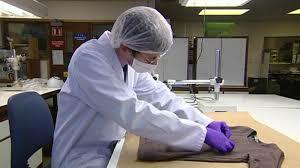 Forensic Science is a very complex and highly technical discipline. To excel in it, you will need a lot of formal training and specialized education. The steps listed below would help you on your path to become a forensic scientist in Alabama. Keep in mind, however, that exact requirements are variable according to the employer and the nature of the job you are applying for. So even if you fulfill the following requirements, you are advised to check with potential employers regarding their specific training, education, experience and certification needs. While in high school, you are advised to take classes in physics, chemistry and biology. These would help create a solid foundation for a bachelor’s degree in forensic science or any of the natural sciences. Alabama has a number of colleges and universities offering degrees in natural sciences and forensic science. To make your degree more relevant to your future career path, you might want to opt for courses such as organic chemistry, inorganic chemistry, microbiology, anthropology and genetics. This might or might not be a mandatory part of your bachelor’s degree. Nevertheless, doing an internship can serve as a great opportunity to network with forensic professionals and observe their work firsthand. Though most entry level positions would require only a bachelor’s degree, having a higher degree would greatly improve your employment prospects. For instance, a masters degree in biology, chemistry or even anthropology could give you access to more advanced positions. Master’s degrees can also be completed with a specialization in any particular area relevant to forensic science, such as serology, microscopy or ballistics. Before you are assigned independent case work, you will be required to complete a formal training program. This would help you understand the requirements of your workplace as well as how the department of forensic science operates there. You will be given insights about the collection and documentation of evidence and the industry standards that you need to follow. Once completed, you might even be required to pass a proficiency exam – again a matter dependent on your employer. Even though this is not a mandatory part of becoming a forensic scientist in Alabama, getting a certification will certainly help you in career advancement. There are multiple options available for those who want to obtain this professional credential. The American College of Forensic Examiners International offers the prestigious Registered Investigator (RI) credential. Similarly, The American Board of Criminalistics offers two credentials – Diplomat of ABC (D-ABC) and the Fellow of ABC (F-ABC). Certification options are also available at various universities in the state of Alabama. As per data from the US Bureau of Labor Statistics, Forensic Science Technicians in Alabama made an annual mean wage of $48,400 in May 2017, which is significantly lower than the national mean wage of $61,220 for 2017. However, the job growth rate in the state is high with a 12% increase in jobs expected from 2016 to 2026.